Former Bayern Munich midfielder Bastian Schweinsteiger will return to the Allianz Arena this summer for an official testimonial match in honour of his 17 years of service to the club in a fixture against his current side Chicago Fire. The match, which was announced via a video from Schweinsteiger himself on a big screen in the stadium prior to Bayern's Matchday 20 encounter with Hoffenheim, will be played on 28 August 2018. "I'm delighted to be able to run out at the Allianz Arena again," Schweinsteiger said. "I hope to meet a lot of Bayern fans again who have accompanied me since the start of my career. I'm especially looking forward to seeing the south stand because we always had a special relationship." 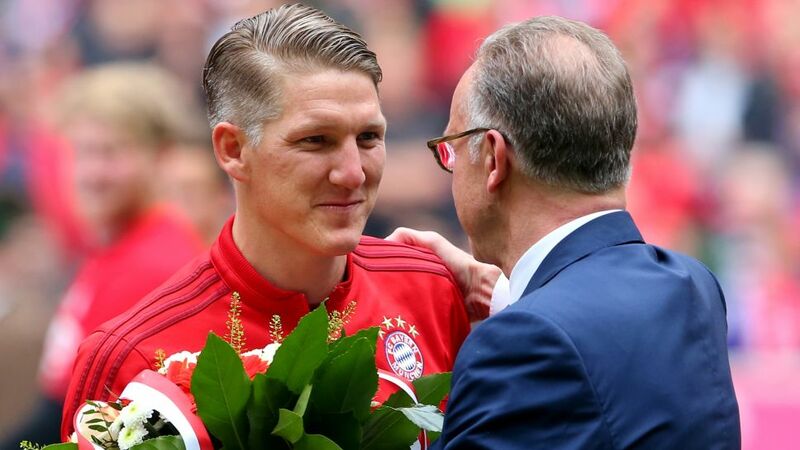 "Bastian Schweinsteiger had an extraordinary career with Bayern and helped shape an extremely successful era at the club," said CEO Karl-Heinz Rummenigge. "His fantastic personality made him an essential part of the Bayern family and he'll always be part of it. There was no question for us that we wanted to say thank you to such a worthy player with a farewell game." Schweinsteiger joined Bayern at the age of 13 and progressed through the youth system before going on to make 342 Bundesliga appearances for the Bavarians, scoring 45 times. He is one of the most decorated players in the club's history, winning eight league titles, seven DFB Cups and the UEFA Champions League as a key component of that treble-winning 2013 side. He was also instrumental in helping Germany lift the 2014 FIFA World Cup in Brazil. He left Bayern to join Manchester United in summer 2015 in search of a new challenge, before moving on to MLS side Chicago Fire in March 2017.